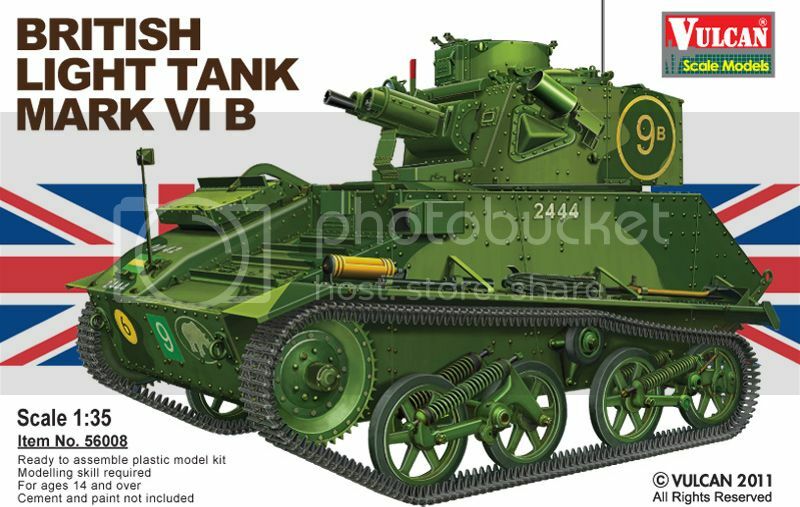 The British Light Tank MKVIB is the 6th model kit set released by Vulcan. 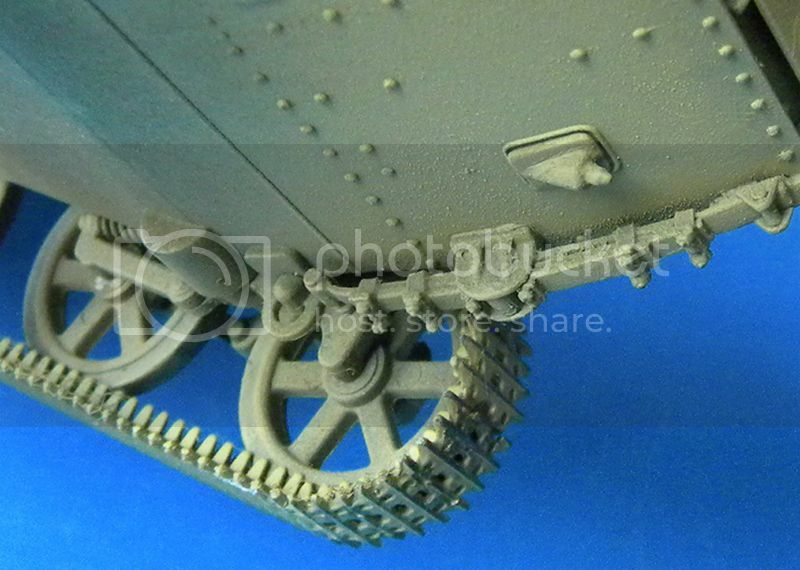 When I got this kit and open the box, I found there have a lot of stuffs for this little tank, which is included plastic molding parts, metal shafts, metal springs…etc. It looks very interesting and looks like to be a nice kit. So, I put all my working projects aside, and start building it immediately. I have spent a week to finish and paint it. Here is the box art. 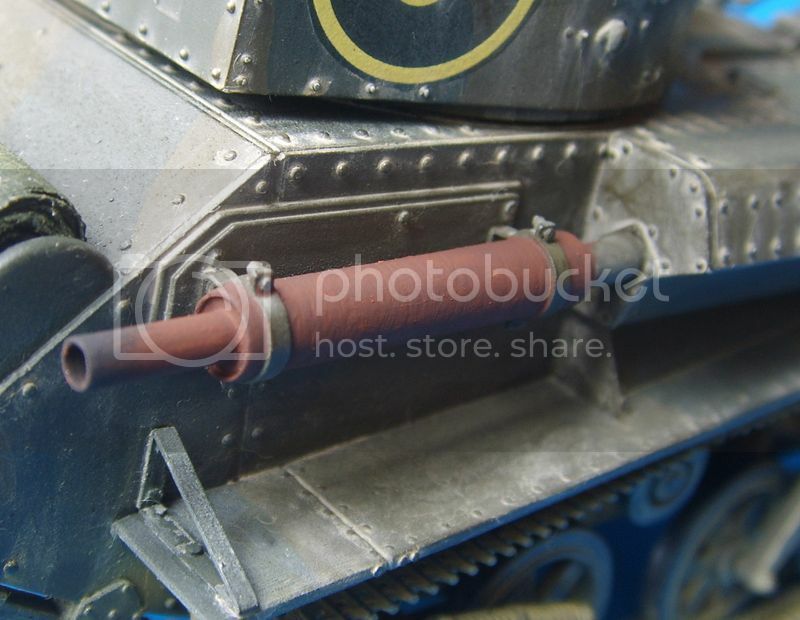 This is my first Allied subject that I built. I don’t have much reference on this tank. But I found the below websites have very good walk around pictures. 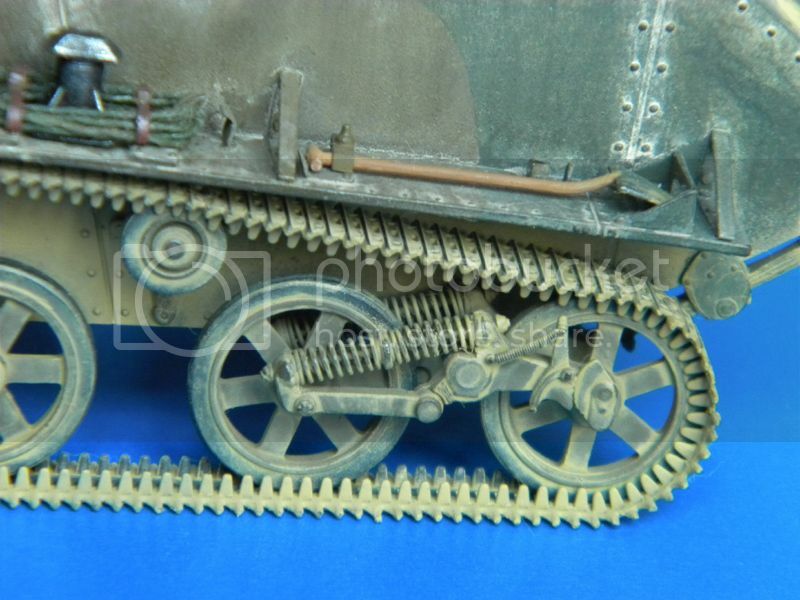 Here are the pictures of my painted model. 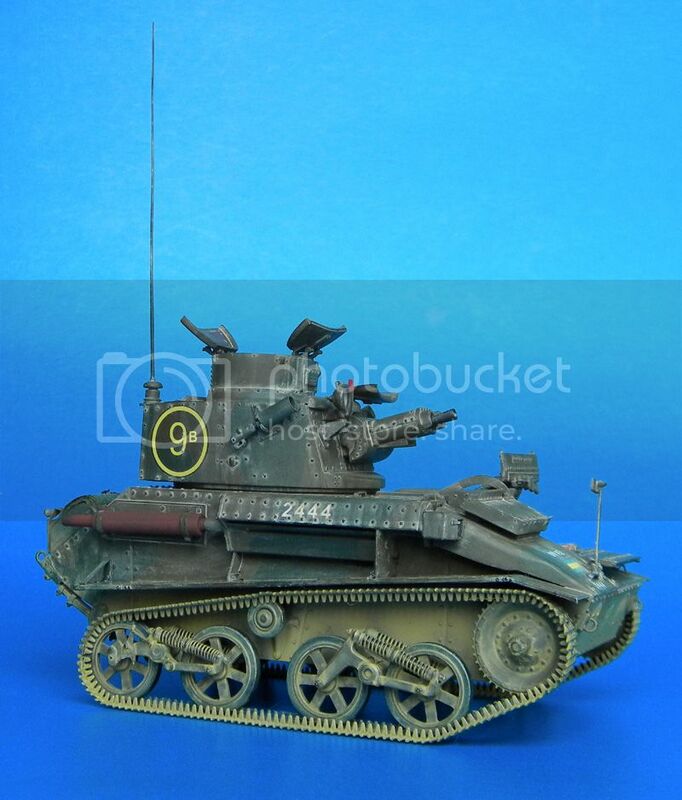 Had in the back of my mind (for many years) to scratch-build one of those in 1/16th scale. 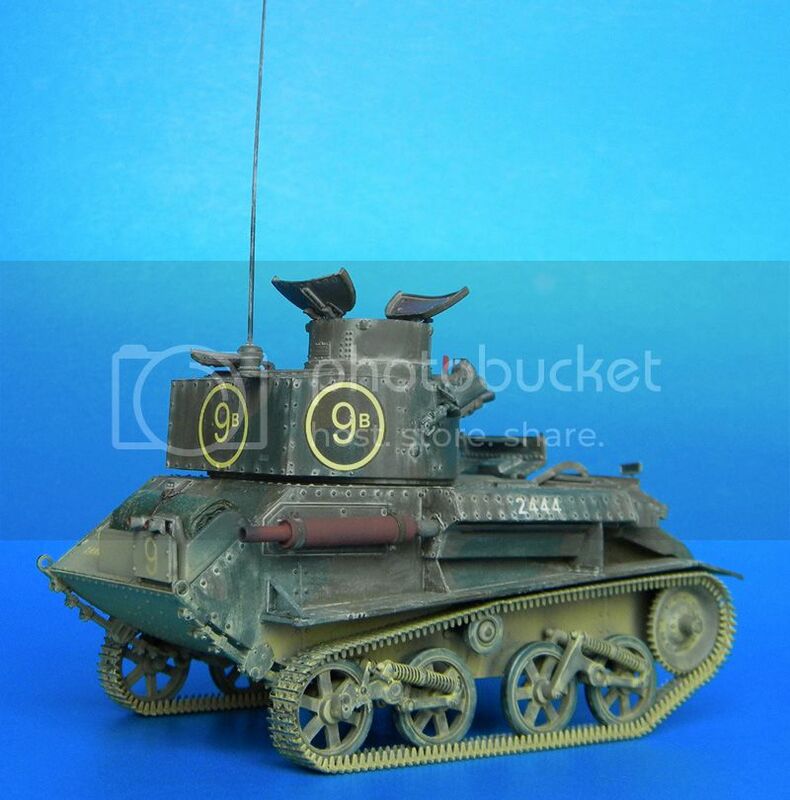 Great to see the tank out in 1/35th kit. I have made some improvement and changes of my model. I will show you of my building progress later. 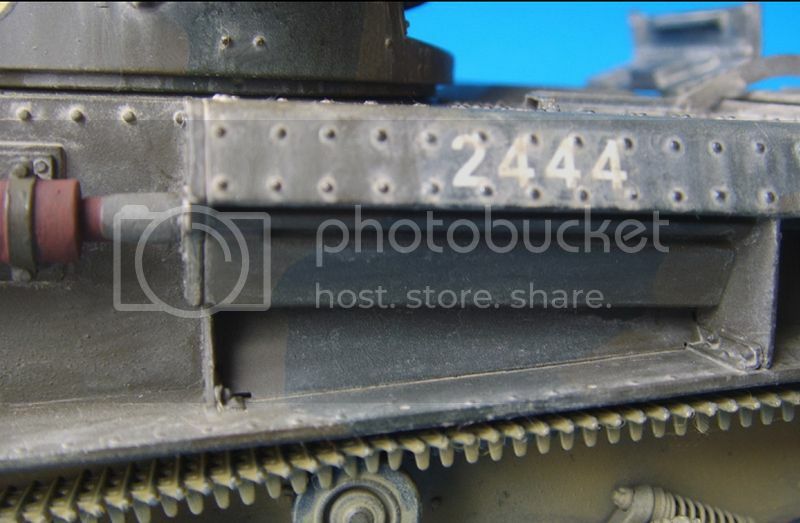 Most Excellent 'close-up' detail photos. Great to see one of these finished. I wish that there were some way to get a bit of track sag, but it still looks fantastic. I thought that these kits didn't have any interior... 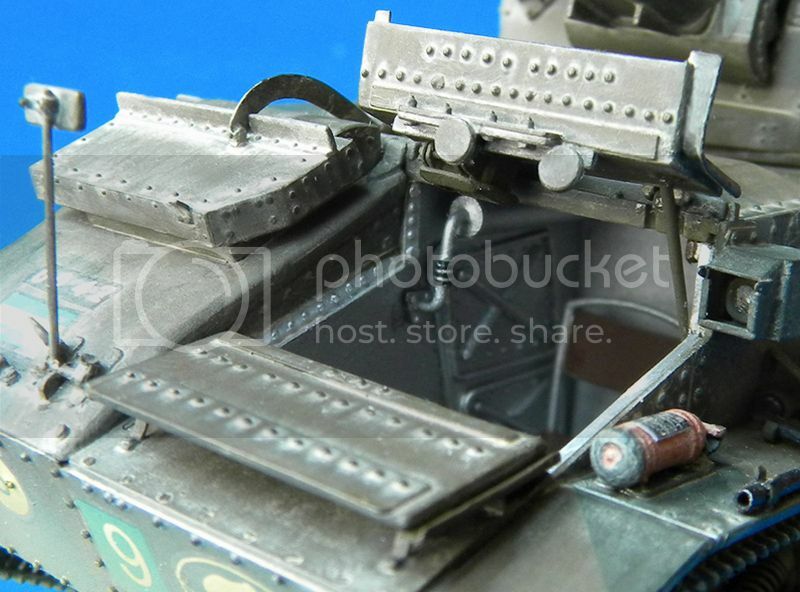 It looks like there is, in fact, a basic interior (at least for the driver's compartment)? 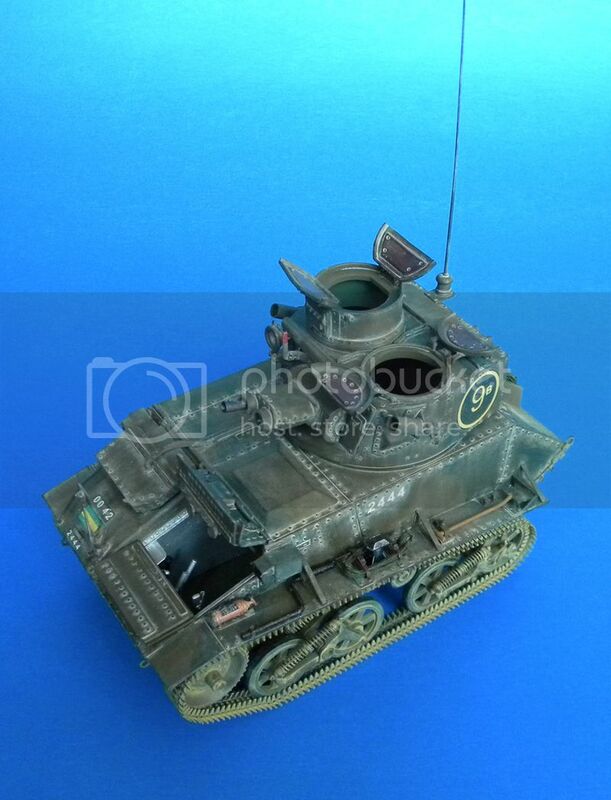 From what I could see in the photos, it looks like you were able to provide enough detail to really upgrade the appearance (the driver's hatch is so large, it would be a shame to have to model it closed). 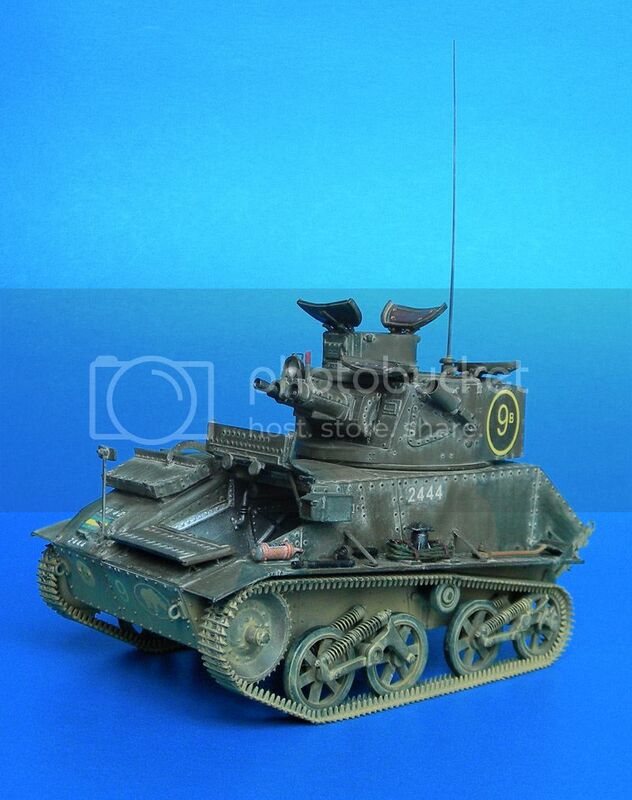 I am currently building the old Tamiya Quad, but I think that I will make the VI B my next project. I certainly don't have the skills that you do, but maybe I'll try to do some sort of interior (if it looks bad, I can always just close the driver's hatch - problem solved). Thanks for posting your work, and thanks for the link to the walk around photos. Great job, my only critique would be the turret decal area. 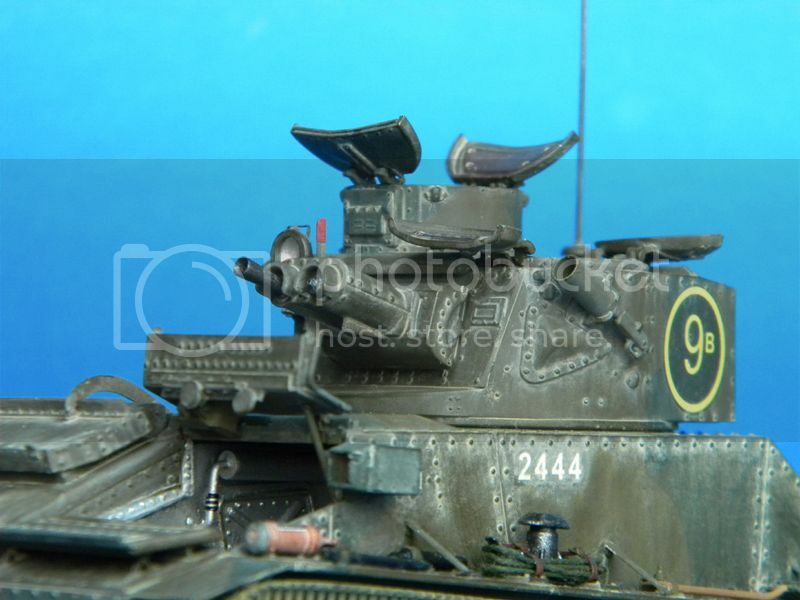 Most of the tank is dusty except where the turret markings are at. Looks a bit odd. Was that intentional? 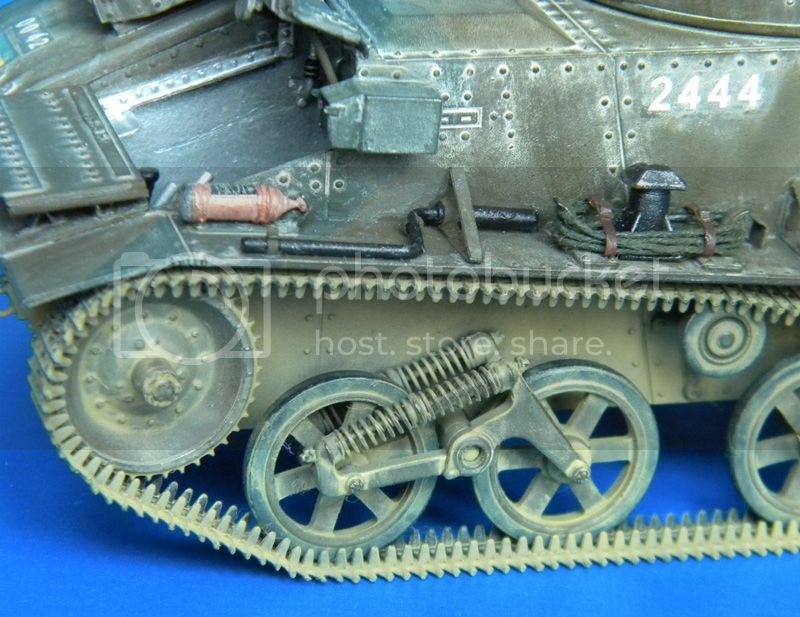 Again great job and the weathering is convincing except where mentioned.